River rock are primarily used for stepping stones, waterfalls, and edging. Though the most common use for crushed shell is pave a pathway through your garden. Soil is the foundation of our landscape. Flat pieces of stone available in a variety of colors. We provide wonderful eye appeal, & they can turn the front or backyard into a thing of beauty. 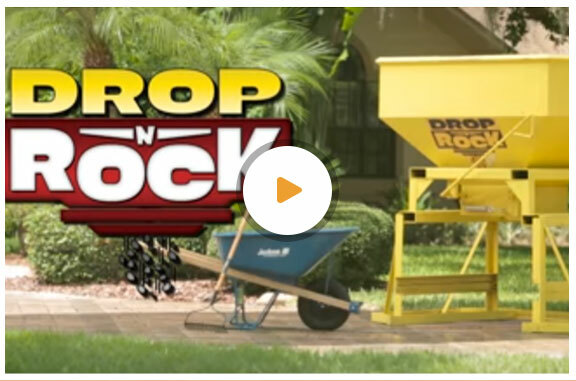 The revolutionary design of the Drop N Rock hopper allows you to move and install aggregate without shoveling and without the mess. The combination of innovation and quality engineering lets you get the job done in a fraction of the time, making it a must-have for any outdoor project. We at Rock Solid take pride in the way we run our delivery service. For over ten years we’ve worked hard in providing our customers with what they want. We have gone out of our way to ensure a prompt and timely delivery schedule. How to prepare for your next rock or mulch delivery: Decide on an area in your yard to have your product dropped. Great place, especially for your first time being there. They have everything from rocks, mulch, dirt, and anything else you need for your landscaping or painting rocks needs. I love it and I'm happy we have places like this. Thank you. We are a landscape design and supply house. Consumers and Contractors buy supplies from us to fulfill their dream landscaped yard, driveway, patio etc. 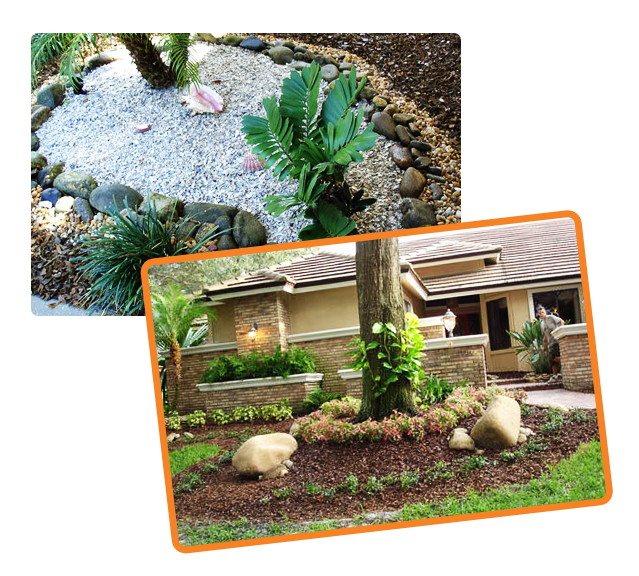 Rock solid Stone center has almost every landscaping product available in convenient, easy to carry bags. Now, for a limited time, you can find our already low prices on bagged mulch, pine bark, and a huge variety of medium size stones and aggregate are at an even better deal. To take advantage of this offer head on over to your nearest Rock Solid Stone Center and let the savings begin.